His Doctor of Medicine degree was acquired at the University of Health Sciences/Chicago Medical School in Chicago. Dr. Mittman completed a residency in Family Practice at Northridge Hospital Medical Center in Northridge, California. He then completed a second residency in Anesthesia at Kansas University Medical Center in Kansas University Medical Center in Kansas City, Kansas. Dr. Mittman is a diplomate of both the American Board of Anesthesiologists and the American Board of Family Physicians. He is an active member of the American Society of Anesthesiologists, the California Society of Anesthesiologists and the American Academy of Family Physicians. Dr. Mittman is also a member of the Society for Office Based Anesthesia. He is ACLS, BLS and PALS certified. He is on the Board of Directors at the North Anaheim Surgicenter in Anaheim, California. Dr. Mittman is the recipient of a General Anesthesia Permit, as awarded to him by the California Dental Board. 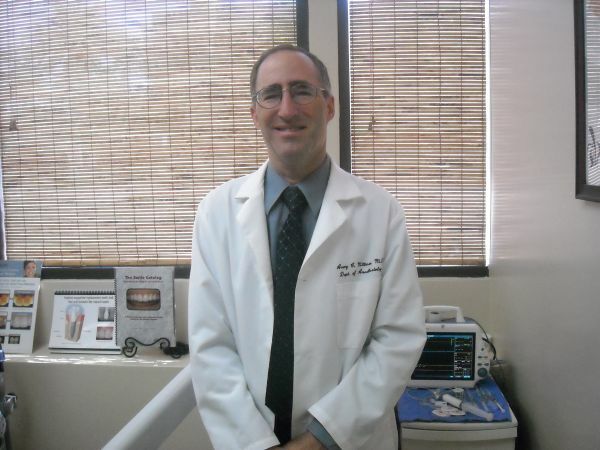 A long time resident of Orange County, Dr. Mittman is married, the father of two young children, and active in his community. His favorite pastimes include tennis, skiing, camping and music. Dr. Mittman has made it possible for Dr. Asil and our Dental Specialists to provide range of dental services from wisdom teeth extractions, single dental implants, to full mouth multispecialty dental reconstructions by making sure that our patients are asleep, safe and comfortable during the procedures by providing Dental Anesthesia services at our San Clemente office since 2006.